13/32" five-rib design to give lower rolling resistance, minimize uneven wear and reduce running temps. Lateral grooves and blading to enhance wet traction. Round shoulder with shoulder blades help reduce uneven shoulder wear. Special sidewall compound and heavy duty construction. High strength, flex/fatigue-resistant ply wire improves casing life. 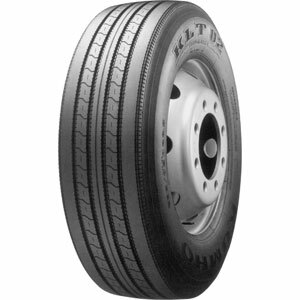 Primarily designed as a highway trailer tire; however, it can be used in steer positions, if desired, but in slow wear rate applications to minimize rolling resistance and irregular wear.